Sedgwick CMS deals with a high number of claims and relies heavily on the use of freelance contractors to handle the work. A friend recommended the company and after a little research I decided that it was a legit method for making money and signed up. Since the company is growing at a rapid rate, they have lots of work opportunities for freelance contractors. In an attempt to attract qualified freelancers, they do something most companies don’t. Sedgwick provides benefits for these at home customer service jobs. They even have an insurance option, something those of us who work at home could benefit from. Sedgwick also offers up to a $75 a month reimbursement to help cover the cost of your computer, internet, and phone bill. There are very few companies that are willing to even consider doing such a thing. If you decide to do some work for Sedgwick, you need to be prepared to use the phone. The good news is that the company doesn’t expect you to start working cold turkey. They have a two week training program that’s quite detailed. By the time you’ve completed the training, you will be confident to fulfill all of your duties. If you’re looking for a job that allows you to earn money without forcing you to follow a set schedule, you’re going to enjoy working for Sedgwick CMS. The highly flexible schedule makes it possible for you to work for Sedgwick CMS whenever you have some spare time, but you’ll be able to focus on higher paying jobs that take all of your time when they roll in. The one thing you should keep in mind is that, even though you’re allowed to set your own hours, you will be expected to put in enough time for Sedgwick CMS will expect you to put in enough hours to justify their compensation. I advise you to treat this like a traditional, full time job. 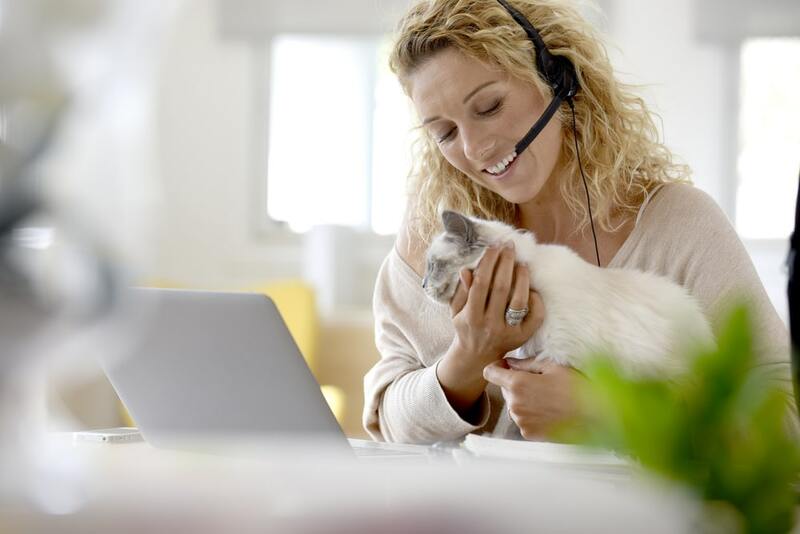 Though at home customer service jobs are more popular than ever – it doesn't mean you should be flippant when you snag one of these positions. The biggest problem with Sedgewick is the expectations they have regarding applicants. To get hired into the company, you must have a high school diploma or a GED. The company also insists that all employees have a minimum of years experience doing customer service work. One of my favorite things about working for Sedgwick is that I was able to set things up so that they removed my tax information prior to paying me. I don’t have as much money in my bank account but I also don’t owe the government quite so much money in April when it’s time to file my taxes. Not only does Sedgewick provide legit work at home opportunities, they have also earned an Employers Choice Award. Personally, I urge everyone to check out this great company! You’ll want to select: Customer Service/Call Center and look for anything marked work at home. Just wondering what position do I apply for? There are so many. And this company was in your “Chat Jobs” section. There’s no listing for freelance. Any ideas?